This fall we visited Carlsbad, on California’s southern coast. This laid back village has miles of surf and sand to explore and ideal year round temperatures. There is also much more to explore beyond the sun, sand and waves. 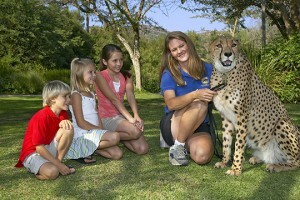 Carlsbad is deal for families with LEGOLAND® California and the San Diego Zoo® & Safari Park nearby. The quaint seaside village is also the perfect home base to explore the cultural and culinary delights of San Diego. 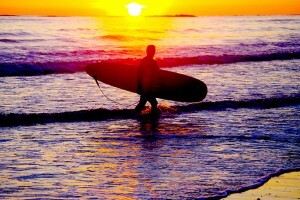 Check out all that Carlsbad has to offer and let RTX help you plan your next Southern California vacation! Visiting Carlsbad with RTX will save your family money and time with the ease of booking accommodations, car rentals and more at www.rtx.travel. Contact us today to find out more! There’s not much better than a perfectly ripe avocado. The smooth, creamy texture and nutty flavor is unlike anything else, and the nutritional value is tops. 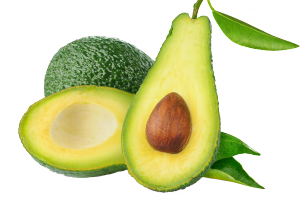 Southern California is famous for avocados, which thrive in ideal year-round growing conditions. While there are seven varieties of the fruit grown commercially in the state, the ubiquitous Hass variety accounts for about 95% of the total crop. Just 35 miles north of San Diego on the southern coast of California, Carlsbad is a charming beach town with endless opportunities for family fun. RTX members can visit Carlsbad through exchanging, purchasing a Getaway or booking a discounted hotel room. With average temperatures in the 60s and 70s and abundant sunshine year round, families flock to Carlsbad in every season, and there’s always something to do. 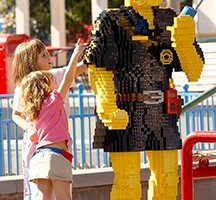 Attractions like Legoland and the San Diego Zoo Safari Park are hugely popular for kids of all ages. Make the most of the perfect weather with a day on the beach or a water sport adventure in one of the area lagoons. A day trip into San Diego is easy and fun for everyone. With your home base in Carlsbad for your southern California vacation, it’s easy to drive north or south along the coast to explore beach towns like Oceanside, Encinitas, Solana Beach and Del Mar. The city of San Diego is also a big draw from Carlsbad, at less than 40 miles south. 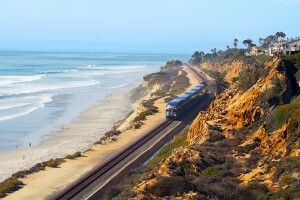 You could easily spend a day trip – or several – exploring all that San Diego has to offer while returning to the quiet beach town of Carlsbad each night. If you prefer not to drive (you’re on vacation after all!) then the NCTD COASTER Rail is the perfect solution. The COASTER starts in Oceanside and stops in Carlsbad, Encinitas, Solana Beach, Sorrento Valley, Old Town San Diego and finishes its route at the Santa Fe station in San Diego. There are two stations in Carlsbad, one in the heart of the historic village, and one a bit further south. Carlsbad caters much more to the family-friendly scene than to the spring break partiers, but there are still plenty of options for entertainment and fun after the sun sets over the Pacific and the little ones are tucked away in bed. Theater performances, film screenings, live music and neighborhood pubs are the heartbeat of Carlsbad’s social scene, and here are some highlights for your consideration. When you start to get hungry in Carlsbad, you won’t stay that way for long. This beach town packs a punch when it comes to dining options, with a variety of cuisines ranging from casual to upscale and everything in between. Many restaurants have outdoor patios so patrons can maximize their time in the ideal coastal weather. 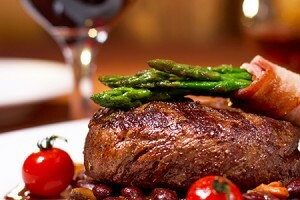 The fresh, high quality produce and ingredients for which Southern California is known shine on menus all over town. 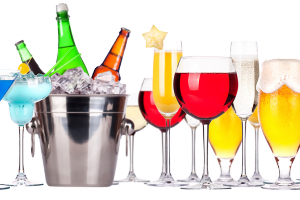 Perhaps the best thing about dining in Carlsbad is that in even the more upscale establishments, there is a relaxed and welcoming atmosphere that translates to an enjoyable experience, whether you are a family with children, a large group on a fun getaway, or a couple seeking a romantic night out. Here we’ve highlighted a few of our favorite spots for eating out in Carlsbad. The Leo Carillo Ranch Historic Park represents history, culture and Hollywood in a way that could only be harmonized in southern California. This state park manages to be at once peaceful and entertaining while echoing the values of conservation and preservation that were so important to its founder. Leo Carillo was nicknamed “Mr. California” for his passion for his heritage and home state. As a stage, television and film actor whose entertainment career spanned four decades, he is most well-known for his portrayal of Pancho in The Cisco Kid television series from 1950-56. 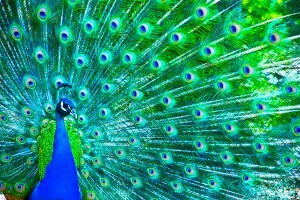 While it was never intended to be open to the public, the San Diego Zoo Safari Park now has more than 2 million visitors each year, and is one of the top attractions in the San Diego area. About 45 minutes inland from Carlsbad, the Park is well worth a visit, especially with the deals available when purchasing combo tickets for the Safari Park and the San Diego Zoo. There are few toys that can entertain adults just as much as their kids. Similarly, not every theme park excites parents as much as the children who persuaded them to visit. It may seem interesting then, that something as simple as a colorful little brick of plastic – or lots of colorful little bricks of plastic – can provide entertainment and excitement for the whole family as well as a generous serving of nostalgia for any adult who was a kid at some point in the last four decades.